The Half-life of Carbon is only 5730 years old…. The Half-life of Carbon is only 5730 years old…. So when people tell you that carbon dating of fossils proves that the earth is millions of years old, they are lying. “Let’s suppose we find a mammoth’s skull and we want to date it to determine how long ago it lived. We can measure in the laboratory how many carbon-14 atoms are still in the skull. If we assume that the mammoth originally had the same number of carbon- 14 atoms in its bones as living animals do today (estimated at one carbon-14 atom for every trillion carbon-12 atoms), then, because we also know the radiocarbon decay rate, we can calculate how long ago the mammoth died. It’s really quite simple. This dating method is similar to the principle behind an hourglass.6 The sand grains that originally filled the top bowl represent the carbon-14 atoms in the living mammoth just before it died. It’s assumed to be the same number of carbon-14 atoms as in elephants living today. With time those sand grains fall to the bottom bowl, so the new number represents the carbon-14 atoms left in the mammoth skull when we found it. The difference in the number of sand grains represents the number of carbon-14 atoms that have decayed back to nitrogen-14 since the mammoth died. Because we have measured the rate at which the sand grains fall (the radiocarbon decay rate), we can then calculate how long it took those carbon-14 atoms to decay, which is how long ago the mammoth died. Time is a factor in the Kingdom of God. When Jesus walked past the fig tree he expected it to bear fruit because it was the season for him to eat off of it. It didn’t have fruit so He cursed it to its roots. That fig tree represented the leadership of that generation in Israel, who did not recognize the time of their visitation, and did not produce fruit when He came to them. Jerusalem was destroyed in less then a generation. Timing is a factor in the Kingdom of God. Every individual, every church, every movement, every city, every generation must produce the fruit God is looking for in the season He requires it, or the consequences are severe. This was an awesome article that reflects what I’ve been saying about Detroit for years… Its ground Zero. America judges Detroit, but America IS Detroit. Detroit just happens to be the leader, and the city that God is pruning first, as an example. The day of reckoning is coming for the whole nation… not just Detroit. We are a “nation of rules” that is about to come into contact with God’s laws. The malignant cancer cells oozing from the petri dish of progressive policy known as the City of Detroit are soon to metastasize throughout the body politic. The disease, which has been described by Mark Steyn as the “malign alliance between a corrupt political class, rapacious public-sector unions, and an ever more swollen army of welfare dependents,” will first lay low other formerly great American cities. Newark, Oakland, Cleveland and Los Angeles initially come to mind. But the same fate awaits nearly every other large municipality ruled for generations by so-called progressive thinkers. Once U.S. cities have danced to Motown’s latest bankruptcy beat, it will be the rest of America’s turn to confront unfunded liabilities. In the case of Detroit, fully half of what the city owes—$9 billion out of Detroit’s unpayable $18 billion—is the unfunded pension liabilities to retired public employees and those still on the city’s payroll. That is the rub. There is, there never has been, and there never will be a free lunch. Yet Americans have been voting themselves money since LBJ’s Great Society. According to the Federal Reserve, the nation’s unfunded liabilities stand at over $125 trillion, including Medicare ($86.6 trillion), prescription drugs ($21.8 trillion) and Social Security ($16.4 trillion), which amount does not include the $16.8 trillion current U.S. Treasury debt. These entitlement programs were sold to the public as “pay as you go” and were supposed to build surpluses to balance already known future demographic shifts. But leaders in both major parties invaded these programs’ current income (from payroll taxes) to win votes by financing discretionary programs such as farm supports, food stamps, weapon systems, student loans, housing-loan guarantees, green-energy subsidies and literally hundreds of other spending initiatives—all for political constituencies capable either of making contributions or putting political boots on the ground. Politicians, particularly with the IRS as unpopular as it is today, know that they cannot raise taxes any further, even on that “fellow behind the tree,” as Senator Russell Long famously quipped. Congress also knows that with a Federal Reserve as compliant as Chairman Bernanke’s, there is no current restraint on borrowing. Both parties assume that the Fed simply will print up sufficient digital dollars to purchase any federal IOUs that cannot be sold. For fiscal year 2013, that has been $540 billion, the price tag for nearly all nonmilitary discretionary spending. “In 1960, before the Great Society, Detroit was the wealthiest city per capita in America among cities with more than two hundred thousand residents. In those years, the United States was the world’s largest creditor nation. Today, Detroit is the poorest city per capita in America among cities with more than two hundred thousand residents. Today, the United States is the world’s largest debtor nation. And just like Detroit will rise… hopefully the Nation will rise again. I love music, but when the 3000 were saved in Acts 2… it wasn’t because the church was having rehearsals. It was because of the Holy Spirit moved through prayer. 3000 didn’t get saved because Peter rehearsed his message and performed his preaching with great talent. It was because the Church had a life of prayer that filled them with the Holy Ghost. When the Church can count more prayer meetings than rehearsals and performances, that’s when the lives will be changed, the cities will be changed, the cultures will be changed. But isn’t there ministry in song? Trust me I know there’s ministry in song:-) I’ve promoted music for years. But I can also tell you I’ve had more prayer meetings than rehearsals, and that the performance was never the end goal… I’m not saying music is wrong, I’m just saying we have to know where the true power lies – in God. When we change our focus, the ministry changes over time to become something man-centered instead of God centered. 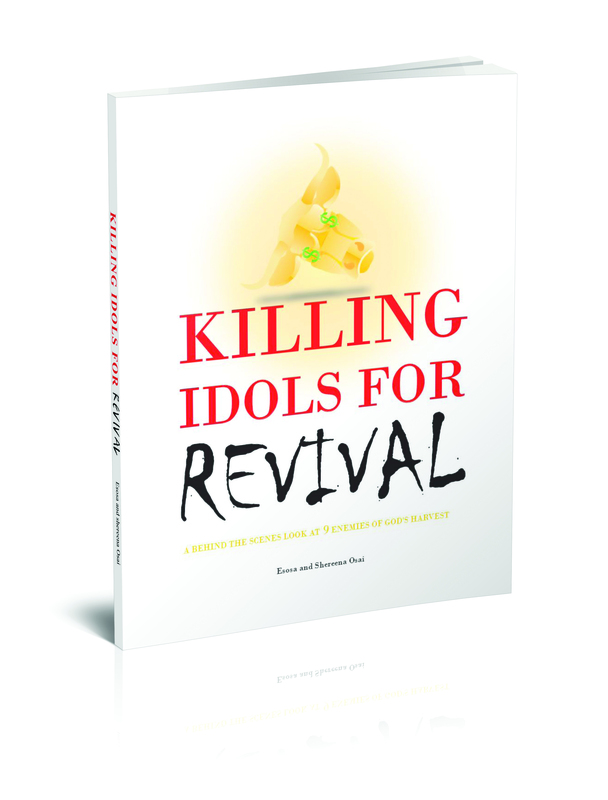 Satan is the one always trying to turn prayer and worship and true preaching into performance and talent worship. Satan uses this perversion of worship to spread iniquity, just like he did when he became satan and was kicked out of heaven. There is devilish wisdom, and there is Godly wisdom. Wisdom from God is not the sword swung to kill the body, but the surgeon’s sword skillfully used to cut cancer out of the Body. Wisdom from God is not the hypocrite that picks a side, but instead it picks up the sword of the Lord (the Word of God) that cuts both ways. True wisdom’s agenda is not for itself, or for a specific group of men, or an earthly minded purpose, but for the will of God. Wisdom from God comes from a gentle Spirit and answers questions, and it’s end goal is to see purity, to see the fruits of love, and to be a peacemaker. It doesn’t “keep peace” with wickedness, it “makes peace” with righteousness.